Included with ProductDyno is one White Label Product and there are plans to make others available in the future. 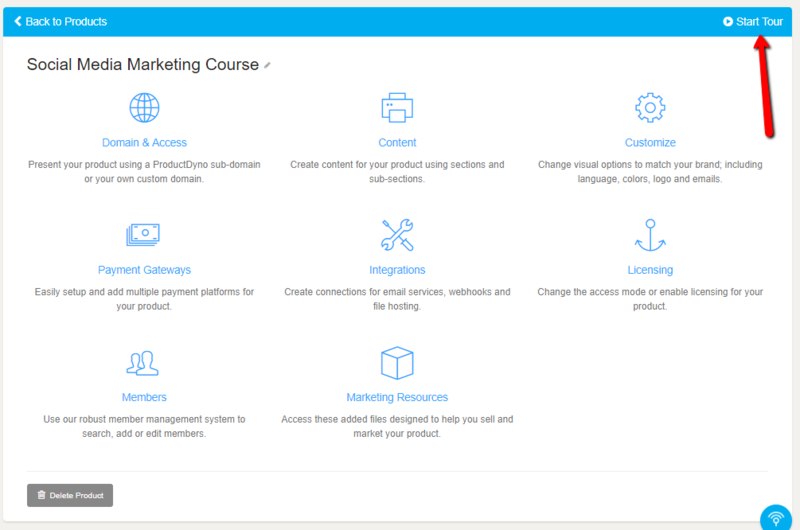 We recommend the first thing you do in ProductDyno is to set up your White Label Product called Social Media Marketing. 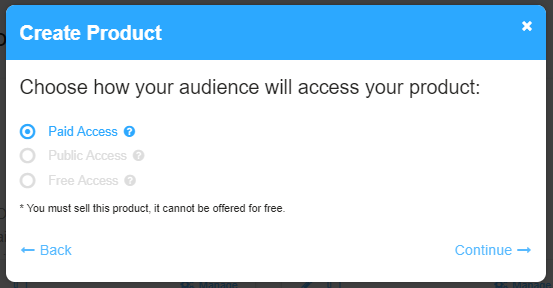 Choose how your audience will access your product - obviously for white label this will depend on the license with the product and the default will have been set for you. Now your product is set up and ready to go! 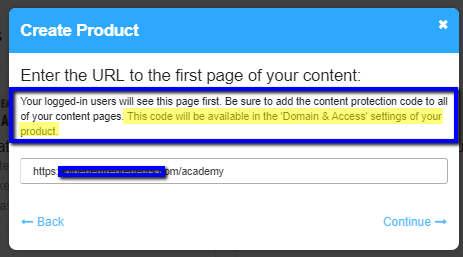 If you choose On My Own Site, also called "External Content", you need to enter the URL of the first page of your content and then add the content protection code, that is available in the Domain & Access settings of your product, to every page of your content, as explained HERE. 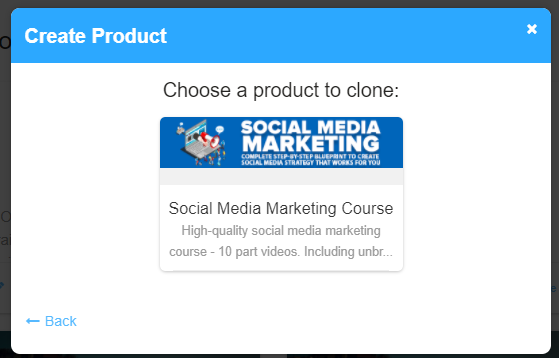 Now your product is set up and ready for you to add content. 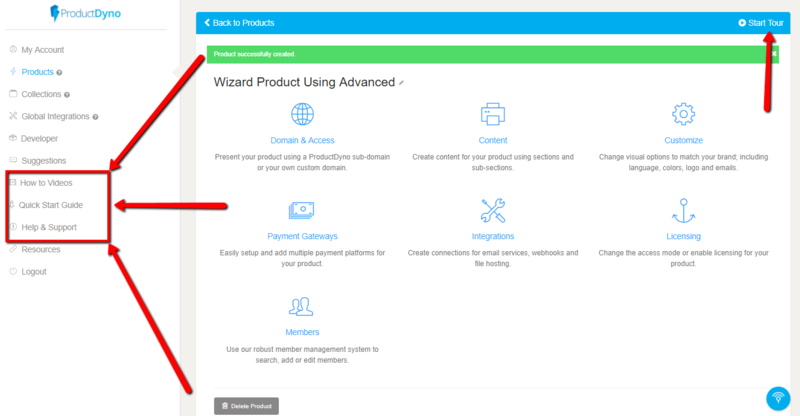 What you have completed in the Wizard is the section headed Domain & Access. For further walk through of ProductDyno and it's features, click on Start Tour. You can also find links to our step by step guides and videos in the left hand menu. We strongly recommend you start with the Quick Start Guide or use the ProductDyno Help Docs Index to walk you through adding content and setting up your payment gateways and integrations. And from here on you are on your own! Not really! 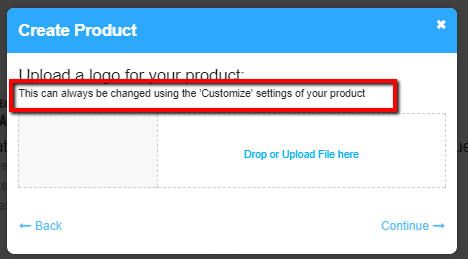 You can click on Start Tour to be lead through the features of ProductDyno. You can also find links to our step by step guides and videos in the left hand menu. We strongly recommend you start with the Quick Start Guide especially to set up your Domain & Access section. 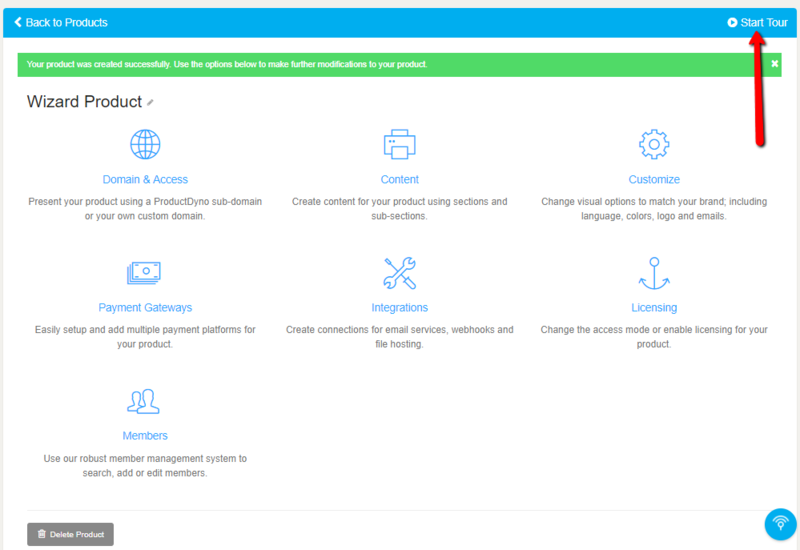 You can then use the ProductDyno Help Docs Index to learn about "Products and Collections" and to walk you through adding content and setting up your payment gateways and integrations.